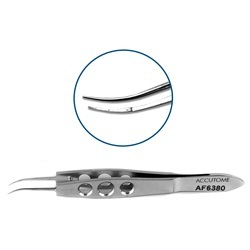 Very delicate, curved, smooth jaws, 6.0mm tying platform. Flat, 3-hole handle. 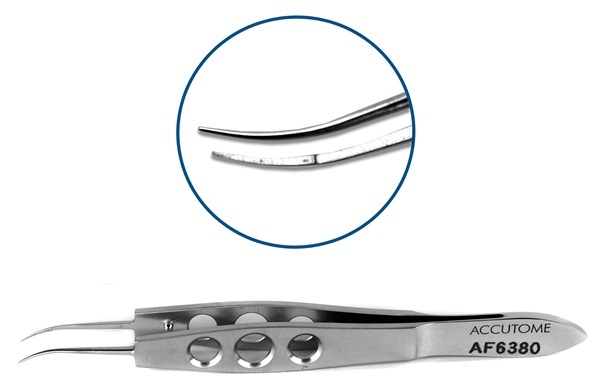 Overall length: 101mm.